We have some wonderful collaborations with local Scottish companies, a couple of incredible Edinburgh charities and some other fabulous running tour companies around the world. Click on each of the images for more information. 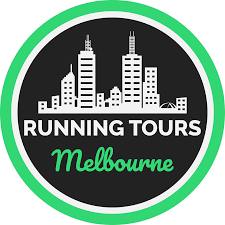 For an extensive breakdown on running tours throughout the world, check out the Running Tours.Net website. Mention Run the Sights to the companies highlighted below and you may well get a cheeky discount or freebie! Check out The Care Necessities for all your childcare needs, whilst in Edinburgh or Glasgow. The Care Necessities, provide a bespoke and boutique child care service. They will come to you to look after your little treasures, allowing you to escape for a running tour. Best of all your administration fee is waived if you mention Run the Sights, so you only need to pay for the childcare. BARGAIN. Click on their logo to be directed to their website. Everyone who joins us on a Run the Sights running tour, receives a sachet of Active Root to enjoy. Active Root is made from natural ingredients and helps keep the stomach settled and balanced during exercise. Best of all, they are a local Edinburgh company! We are really proud to support Maggie’s Centres, do you know about the amazing work the Maggie's Centres do? Many people are affected by cancer, one way or another, be it themselves directly or through supporting friends and loved ones. Contact us directly to find out how you can enjoy a running tour with us, whilst supporting Maggie’s at the same time. We are also very humbled by the incredible SANDS Lothians charity. SANDS Lothians provide support to anyone who has been affected by the death of a baby through miscarriage, stillbirth or soon after birth. Contact us directly to find out how you can enjoy a running tour with us, whilst supporting SANDS Lothians at the same time.